The MTA's latest toll increases (as well as mass transit fare hikes) went into effect yesterday. 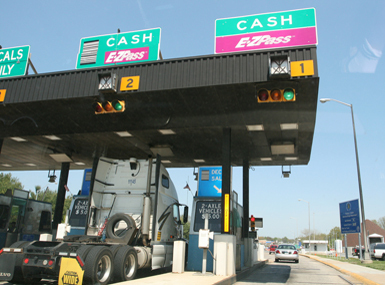 At most crossings, tolls rose from $4.80 to $5.33 for E-ZPass and from $6.50 to $7.50 for cash. At the Verrazano Bridge, things got a little more complicated. The cash toll increased to $15. If you are a Staten Island resident, your first two trips a month will cost $6.36, and then after the third trip (if you have an E-ZPass, the toll will be $6. All other E-ZPass drivers will pay $10.66, up from $9.60. Click here for all the MTA fare and toll details.